We are now putting together teams for 2019. 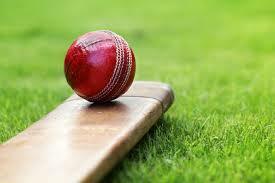 School cricket operates in Terms 1 and 4 for students in Year 2 to Year 7. We welcome both BOYS and GIRLS to join our teams. All players or prospective players need to register their interest even if they have been in a team before. Cricket is the world’s second most popular spectator sport and provides a fun way for children of all ages to stay or get in shape. Cricket improves speed, agility, flexibility and reflexes. It increases concentration, the ability to think strategically and utilise decision making skills. Cricket also prizes sportsmanship and fair play. Self-control, integrity and respect for others is central to the game of cricket. Many children who are otherwise reluctant to take part in team sports turn out to be well suited to cricket. Cricket involves training for one hour a week after school, and a game on Saturday mornings. At Primary School level Cricket matches last about an hour and a half at the junior levels and about two and a half hours in the B and A Grades, which makes for an enjoyable Saturday morning of Cricket for both players and spectators. The children can get a cricket hat and polo top with the player’s names on the back which makes Craigburn Primary School stand out from the rest and makes the players feel very proud to be representing their School. Children who play all season also receive a trophy at the end of the year. Craigburn has a great reputation for sport and have been very successful at Cricket over the years. We hope to continue the trend. Not sure? Indicate your interest with me (via email mark.lemmey130@schools.sa.edu.au) before 6th February. Keen? To register your interest please click on the relevant registration form below (copies also available from the front office). If paying via the Qkr! App go to the app to register and pay there. This requires facilitating an hour of training after school one night and a short game on a Saturday morning. If being available after school is a problem then we are happy to consider training taking place later in the evening – starting at 5 or even as late as 6.00pm. Also it is possible for two parents to combine efforts. If you may be able to help, ring me for an informal chat.